This week marks the launch of the seventh annual Pramerica Spirit of Community Awards, the only programme of its kind in Ireland that acknowledges the outstanding acts of volunteerism by Ireland’s youth. All second-level students who volunteer in their community, at school or abroad are encouraged to apply now. Launched in 2006, Pramerica Spirit of Community is sponsored by Donegal-based Pramerica Systems Ireland in partnership with the National Association of Principals and Deputy Principals and the General Teaching Council for Northern Ireland ensuring that the programme reaches every school on the island of Ireland. 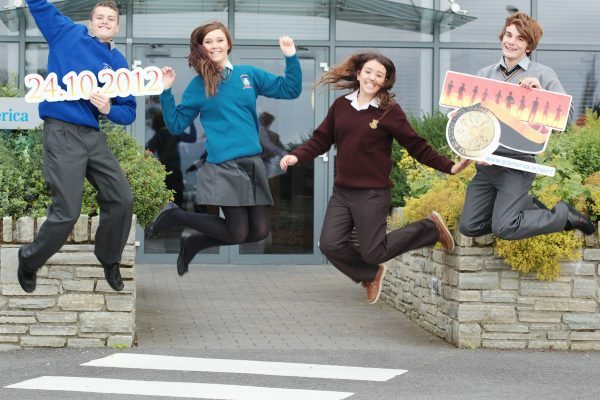 In 2012, the programme honoured approximately 200 outstanding students from over 70 schools across Ireland. Last year, two students from throughout County Tipperary were named among the top twenty finalists in the 2012 Pramerica Spirit of Community Awards. Post-primary students are invited to submit applications to their school principal by the 24th October. Principals will review the applications and nominate one student in the junior category –for students up to age 16–and one student in the senior category, for students 17 to 19 years old. The deadline for nominations is the 9th of November 2012. In February 2013, judges will select 20 finalists who will each receive a certificate of merit, €500, an engraved silver medallion and an invitation to the Gala Awards dinner to be held in Lyrath Estate Hotel, Kilkenny on the 27th March. Two All-Ireland Youth Volunteers of the Year will be selected at the awards dinner. Each will receive €1,000 for a charity of their choice, a gold medallion and an all-expenses paid trip to the United States to attend the Prudential Spirit of Community Awards ceremony. “The Pramerica Spirit of Community Awards celebrates and acknowledges the voluntary activities of hundreds of exceptional youth ambassadors who actively make a difference in their communities and in communities across the world”, said Henry McGarvey, managing director of Pramerica Systems Ireland.